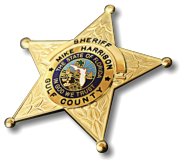 The Criminal Investigation Division (CID) at the Gulf County Sheriff's Office is led by Lieutenant Paul Beasley and is responsible for investigating crimes against persons such as homicides, rapes, and robberies, as well as property crimes such as thefts, burglaries, and financial cases. In addition CID Investigators are responsible for crime scene investigations, interviewing witnesses, gathering and compiling of criminal intelligence and the administration of truth verification devices. CID Investigators work closely with The Department of Children & Family Services and The Children's Advocacy Center when investigating crimes against children. These agencies play a vital role in the successful investigation and prosecution of offenders of these crimes. Because of the two state prisons located in Gulf County, CID Investigators are frequently asked by outside agencies for assistance, such as authoring search warrants for DNA collection and conducting interviews with inmates who are either suspects or witnesses in their investigations. This assistance sometimes requires the investigators to travel to the jurisdiction that requested assistance for the purpose of testifying in court. Also part of CID is the Crime Scene Unit. Comprised of one crime scene investigator (CSI) is responsible for responding to crime scenes to document and collect evidence. In addition the CSI is responsible for all Gulf County Sheriff's Office intake and storage of evidence. This also includes all digital evidence such as digital photographs, computer discs of audio and video recordings. The public plays an important role in the success of solving crimes that occur in our county. If you have any information regarding an investigation, please contact the Gulf County Sheriff's Office and ask to speak to a Criminal Investigator, submit a tip via our website, or contact CrimeStoppers at 785-TIPS (8477).